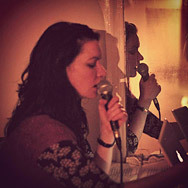 Vocal and electronic improv with poet Doireann Ní Ghriofa, Cork Midsummer Festival, Glucksman Gallery Cork. New work for Red Note Ensemble and Any Enemy, Sound Aberdeen. Listen to pieces and excerpts on the music page, view works and past performances, or get in touch, either here or alternatively on Twitter or SoundCloud.